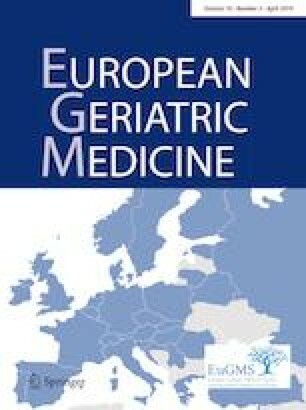 This study aims to uncover the association between frecuent conditions in older persons, according to their blood pressure: memory complaints, depression and incident cognitive impairment. Individuals with depressive symptoms and/or subjective memory complaints have a higher risk of developing incident cognitive impairment when high blood pressure is present. There are several treatable risk factors, which could be managed through counseling regarding healthy lifestyle habits, including HBP prevention which could importantly impact outcomes in older persons. High blood pressure is a relevant risk factor for vascular damage, leading to the development of depressive symptoms and dementia in older adults. Moreover, subjective memory complaints are recognized as an early marker of cognitive impairment. However, it has been established that subjective memory complaints could also be a reflection of depressive symptoms. The objective of this paper is to assess the impact of depressive symptoms and subjective memory complaints on the incidence of cognitive impairment in older adults with high blood pressure. This is a secondary analysis of the Mexican Health and Aging Study, a representative cohort composed by individuals aged ≥ 50 years. Participants with cognitive impairment in 2012 were excluded since the outcome was incident cognitive impairment in 2015. Four groups were created according to depressive symptomatology and subjective memory complaints status; analyses were stratified according to blood pressure status. The odds incident cognitive impairment was estimated through logistic regression models. A total of 6327 participants were included, from which 6.44% developed cognitive impairment. No differences were seen regarding the development of cognitive impairment in participants without high blood pressure. However, increased risk was evident in those with both high blood pressure and depressive symptoms (OR = 2.1, 95% CI 1.09–4.09, p = 0.026) as with high blood pressure, depressive symptoms and subjective memory complaints (OR = 1.91, 9% CI 1.4–3.2, p = 0.001). Individuals with depressive symptoms and/or subjective memory complaints have a higher risk of developing incident cognitive impairment when high blood pressure is present. Our results suggest that a sequence of events related to altered cerebral vascular dynamics is possible. The MHAS was sponsored by the National Institutes of Health/National Institute on Aging (Grant NIH R01AG018016), as well as the Sealy Center on Aging at the University of Texas Medical Branch in Galveston and by the Health of Older Minorities T32AG00270 training Grant from the National Institute on Aging. The authors declared no potential conflicts of interest with respect to the research, authorship and/or publication of this article. The Institutional Review Boards or Ethics Committees of the University of Texas Medical Branch in the United States, the Instituto Nacional de Estadística y Geografía, the Instituto Nacional de Salud Pública, the Instituto Nacional de Geriatría in Mexico and the Pontificia Universidad Javeriana approved the study. The rights of human participants were protected, the procedures were according to the Helsinki declaration. All patients signed informed consent prior to the assessments.